This talented young,actress of the celebrated sitcom Outnumbered, makes you smile just at the very thought of her. The writers of this refreshingly original show had the bright idea to allow the child actors to largely write their own scripts, as opposed to having adult writers put words in their mouths. What a bright idea it was! Beginning her new role in season one at the age of five, Marquez plays Karen, a delightful little creature who, once set off, can’t be stopped and is a natural embodiment of a quirky and intelligent child. Here is talent in its all rounded glory – an actress truly creating her character to the enchantment of her viewers. It is not without reason young Ramona found herself winning Best Female Newcomer at The British Comedy Awards, the youngest to win the honour since the ceremony’s inception. 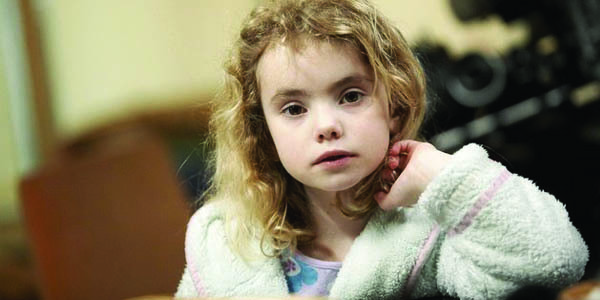 Little Ramona stands out as a talented young actress with a natural knack for script writing; a talent many adults can only aspire to. 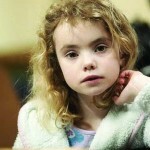 Here is a child whose acting is so phenomenal, it’s almost frightening. Particularly with her facial expressions honed to perfection, it is almost reasonable to assume Dakota Fanning lent 50% of the fear to The War of the Worlds, with her wide-eyed and eerily-beyond-her-years countenance. Even her cameo role in Friends was brilliant; confident and mature with a knack for comedy. It’s a shame such talent is subsequently wasted on the likes of The Twilight Saga [a basin, please] but here too she probably represents the most palatable character. Perhaps it’s even appropriate for the hauntingly pale actress to play a vampire. An artist at work and a lesson to the rest of her kind. 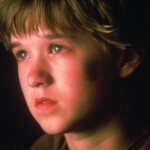 The impressive Haley Joel Osmont is a young actor literally overflowing with talent and maturity in his art. Brushing aside the crumbling edifice that is Nickelodeon with its combination of awful plots, clichéd scripts and ill-trained actors, this child actor can be unleashed to show you how it’s done. 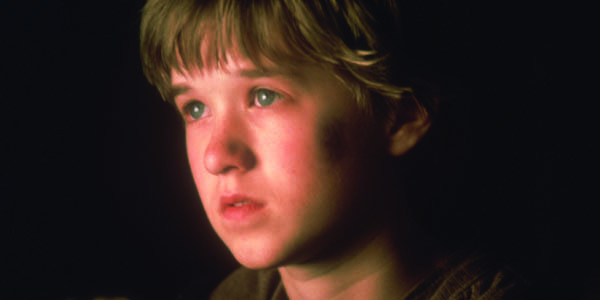 “I see dead people” continues to echo in our minds, after The Sixth Sense actor’s exemplary performance arguably made the movie what it is. And no less, A.I: Artificial Intelligence, where the anguish of a soulless robot child was expressed with a painful precision that captivated the audience. Osmont’s performance consistently displays a stunning maturity that forces fellow actors into the shade. Mara Wilson‘s acting as a child can only be described as enchanting. Her performance in Matilda was exceptional, fully realising the Matilda of our imagination, in spite of an awfully Americanised Hollywood interpretation of a British childhood classic. (Why they do that is beyond me. Fantastic Mr Fox was literally too distressing an obliteration to sit through). Her portrayal in A Simple Wish, among others, was both effortless and engaging. It’s sad she has decided to no leave our screens, opting for a normal lifestyle minus the acting and glamour. But then, maybe that’s a good thing – we all know what Hollywood glamour can do to the innocent. 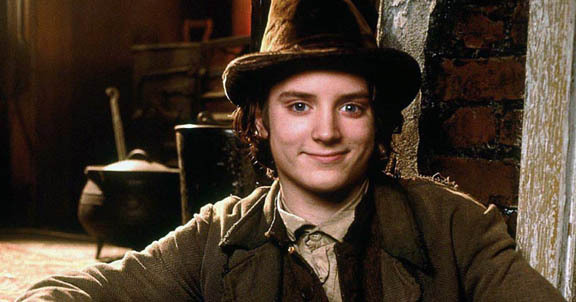 If any of us can cast our minds before the age of The Lord of The Rings, we will recall a particularly adorable and talented little blue-eyed, brown-haired boy delivering stellar performances with an agility to be marvelled at. 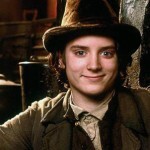 From the thrilling suspense of The Good Son to the sprightly and humorous Huck Finn, Elijah Wood proved he was one exceptionally versatile actor to watch. A good movie is not one that can be watched, but one that can be watched and re-watched, and I never tire of re-watching Wood’s on screen wonders. From the young child actor’s ability to grasp difficult accents to his confidence in hosting major award ceremonies, the far-sighted would have known well in advance that this was one talent with greatness ahead. With work on the much anticipated The Hobbit well underway, we’ve certainly more of Woods talent to look forward to. Glad to see someone noticing the great facial expressions used with Dakota Fanning’s persona in “War of the Worlds.” The two that I thought best were: the mitten-over-mouth bit in the escape-car and the lullaby song she did while her dad was dealing with Tim Robbins (who, BTW, gave a great performance). The mitten-over-mouth scene reminded me of what Michael Caine said, in his acting book, about suppression of emotion. “Little girl in danger” was part of several of her films. She used her remarkable talent to make us care a lot. How else could we have bought into Creasy’s loony killing rampage in “Man on Fire”? A big part of the film was spent getting us to know and love Pita. Dakota did an excellent job of fulfilling her function in the film. IMO, Natalie Portman, in “Black Swan” set the bar pretty high so far as the mastery of expression is concerned. Nina is struggling with mental illness and, in her work, the need to go beyond where she had ever been. We saw all of the struggle through Natalie’s mastery of expression. Dakota has a real challenge ahead if she’s to reach that level; she’s smart though, and I expect her to get it done. « Are Neutrinos Faster Than the Speed of Light?